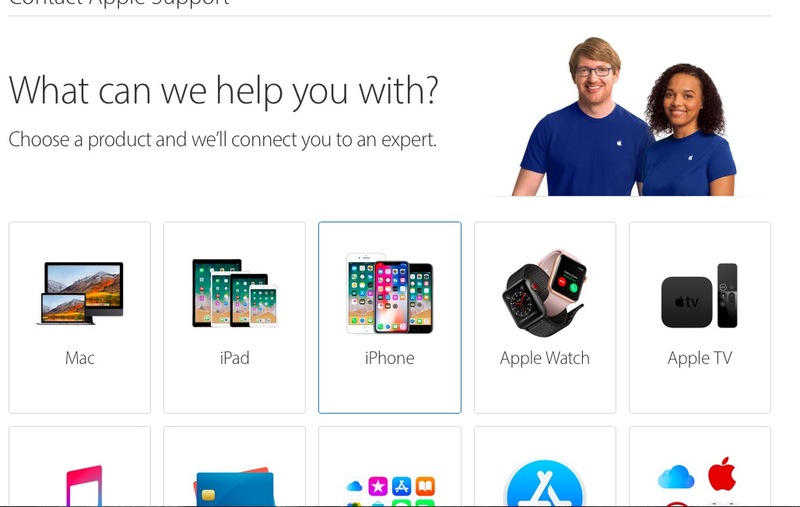 If you need help, Apple provides support for your products in many ways. One of them is live chat support. 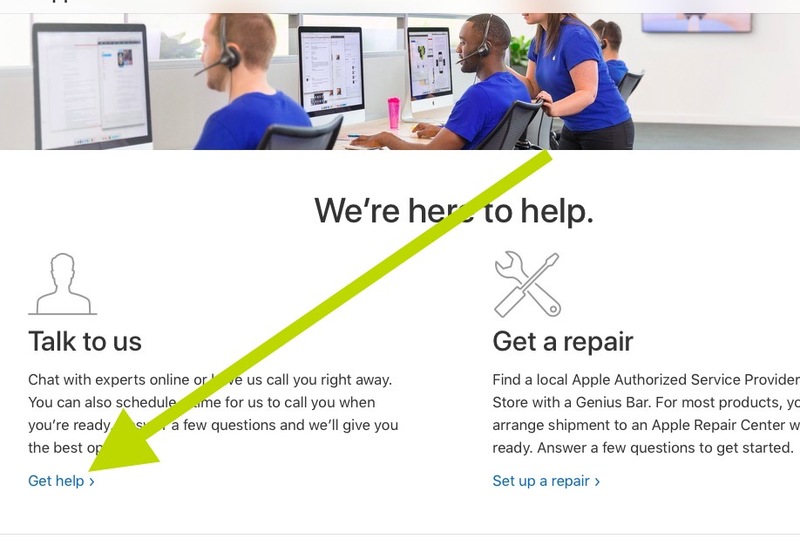 Live chat allows you to use instant / live (real time) messaging to contact Apple’ support team via its website. 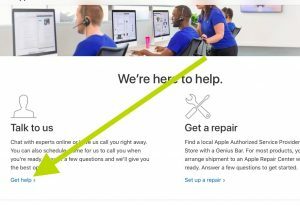 Apple’s live chat offers faster response times, much faster than emails. 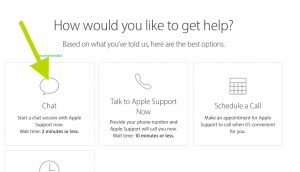 I think that the quickest and most convenient way to get answers to your support questions is to chat with Apple. Apple support chat is available 24×7. 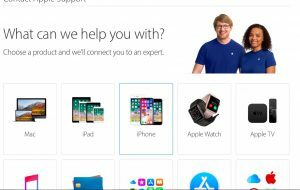 Apple’s support team can answer any questions that you have about Apple products, hardware (iPhone, iPad etc), software (iOS, macOS, FaceTime, Pages etc) and services (iCloud, Apple Music etc.). Please note that live chat is available, although it may not work in all countries. 5. Now choose a product. For instance, if you are having problems with your iPhone, click iPhone. 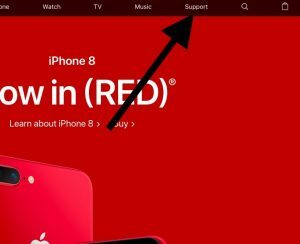 Now select the specific iPhone problem you are having, like battery, Wi-Fi problems. You can also search the topics. 6. Now you will be asked a more specific issue that you are having. If your issue is not listed there, you can select the “the topic is not listed” option. If you choose this option, you will be asked to describe your problem in the next screen. 8. 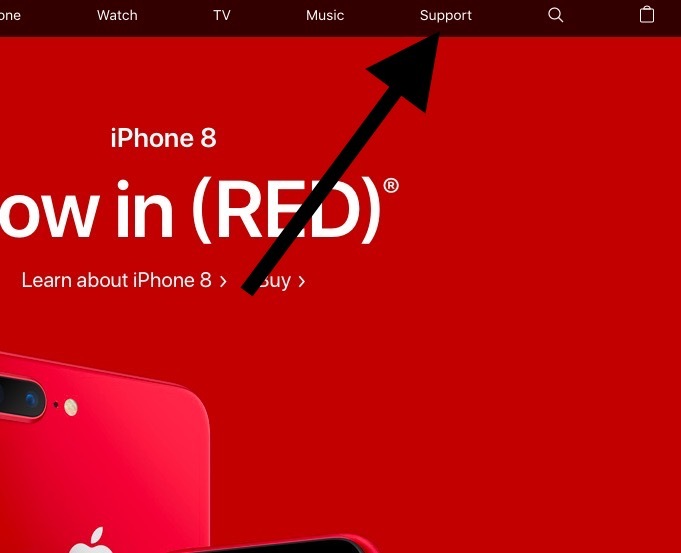 Now you need to either login with your Apple ID and password or enter your products serial or IMEI number. How do you find your serial number? It is very easy. Lets say you are having a Mac problem, you can find your Mac’s serial number by going to Apple menu > About This Mac. Or if you are having an iPhone issue, you can find the serial number by going to Settings > General > About. It may take a few minutes before you talk to a support guy. The next available agent will be with you to help you with your issues. Once you are connected, a live chat representative will ask you to describe your problem, after you describe your problem, the representative will do their best to talk you through possible solutions. I resolved most of my problems via the Apple chat option. However, if you are unable to resolve your requests, there are always other options. 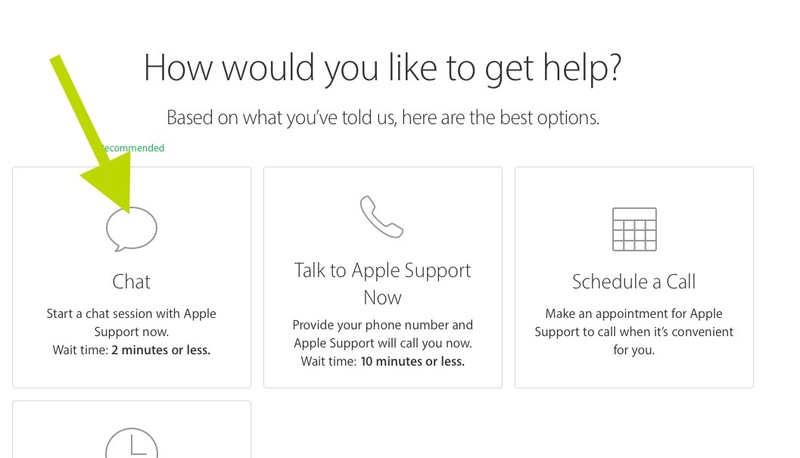 As I stated above, Apple offers many options for you to request and receive technical support. 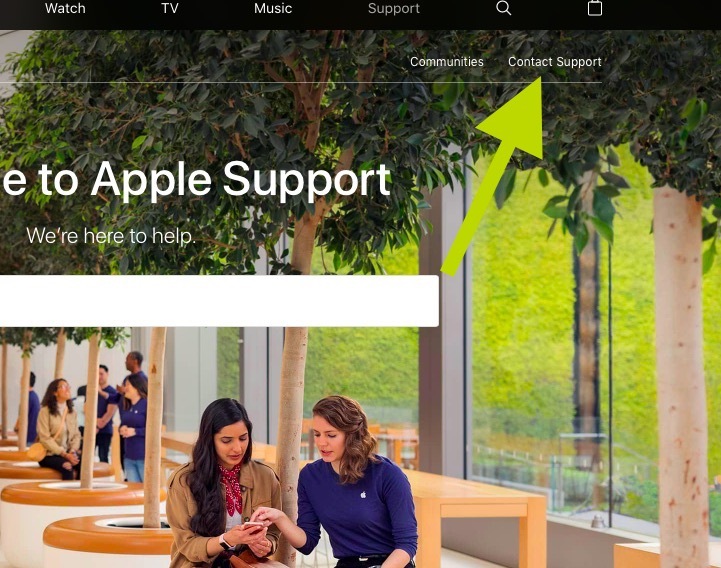 For instance, you can call Apple support and visit an Apple store. But do not worry your issue will be resolved as Apple is committed to helping its customers. I downloaded Scanner Premium (completely free) from Photomynde. However that was a scam. I am now hooked and am not able to delete the download thats was not free at all. This is the second time this company has fooled me into something I do not want. I have tried any way I can to come out of it, but in vain. Please help! Delete everything in connection with that company. I reset my iPhone and tried to login but it says my apple id is locked. I tried to unlock it but the recovery e-mail there isn’t mine and my reply to the security questions there aren’t correct, also thephone number there isn’t mine. I am locked out of my iPhone, what do I do? I lost my ıphone . I can use ‘find my ıphone’ but I forgot my Icloud account name. I cant access my account. Is there any another option ? I lost my ıphone . Its stolen. I can use ‘find my phone’ but I forgot my user name (account name ) . I dont now how I can access to my phone . I need my Icloud name . I purchased I phone six from Saudi Arabia yesterday. Then I want to use it in sri lanka in next week. What are the settings I should do before I use leave Saudi to use my phone in Sri lanka? i got an iphone 4s from a friend he once used it and forgot the icloud and it is now icloud locked please how do i unlock it guys\ please help. is there any way of getting rid of Mac Keeper? I have a 27in iMac with High Sierra. Just logged on and found my 2 columns of icon on the right hand side has gone! Can you advise me on how to get them back! How can we contact apple experts for commercializing of a beneficial invention regarding a secure data communication technology in apple company which has been already made as a software production ? I bought iTunes and it says not activated, what am I going to do. My I phone 5c is disabled how i can restart ? I forgot my iPhone password and I restored it but after restoring it with my MacBook. My iPhone is asking me for my icloud to unlock the phone but I don’t know which icloud they are asking for. So, are there anyway that I can unlock it? When I got to the part when you would click chat, it didn’t show up for me on my computer or on my phone, I don’t know how to talk to them? I need help, i redeemed a single USD200 itunes card into my itunes ID. now its showing unavailable. What should i do? I have also Iphone SE and I did not have any problem. Can you check it please, maybe he has problem with apple ID? The Iphone 6 is half year old and the X is 2 month old, and we cannot use it and we paid a lot of money…..
Hallo,how can I restart my iphone S5,it cant open,I can only receive calls,but cant access it.